I’ve completely had it with men. I’m done. 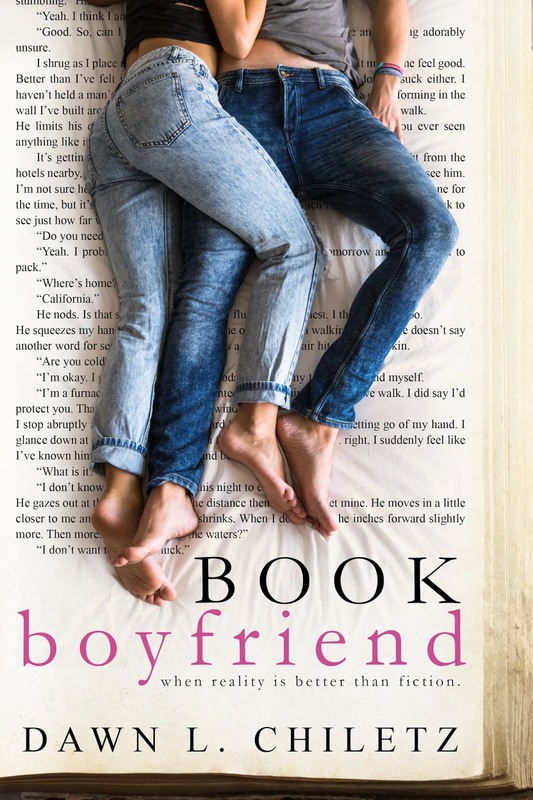 And in case you were wondering, book boyfriends aren’t real. I should know because I write them. My name is Greer Hanson. I think I’ve lost my mojo. After having my heart broken, I can’t seem to write about romance or love. When my best friend and publisher recommends an inspiration vacation, I decide to give it a whirl. What’s the worst that could happen? Enter the perfect stranger. Patrick Fisher knocks me off my feet with his rugged good looks and charm. After one night with him, the words begin to flow. Since I know I’ll never see him again, I use him as my muse. But what do I do when my fantasy comes to life and that man steps right out of the pages of my book? Book Boyfriends can’t be real. At least, that’s what I keep telling myself. Am I willing to risk having my heart broken all over again? Maybe this time reality will be better than fiction. 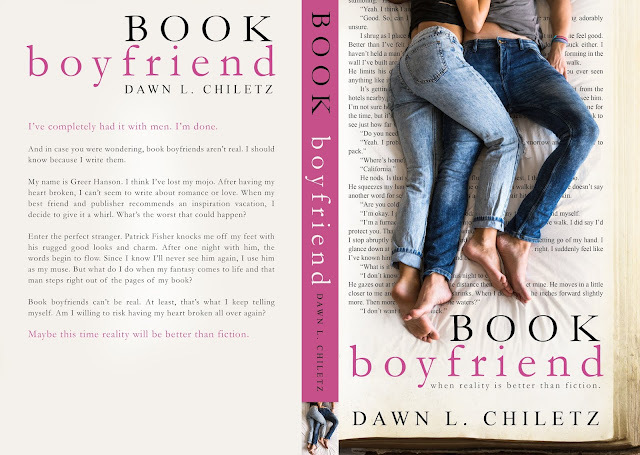 Dawn L. Chiletz resides in Illinois with her two amazing boys and three loving dogs. When she’s not binge writing or reading, you’ll most likely find her somewhere on social media making a sarcastic comment or watching animal reunion stories while she cries like a baby.